Want to get the office crew and your industry buzzing about your next corporate event? Then, it might be time to hire an event designer like Track Seven Events. Poorly planned office parties and corporate events can be a drag for employees, but with the right planning, you can create an event that your employees will love to attend and that will hopefully make them proud to be part of your organization. Similarly, if you're planning an event for clients or customers, you need something special. Something that puts you a cut above the competition and showcases the unique style of your brand and image. In these cases, Track Seven Events in Atlanta, Georgia is just what you need. Over the past 15 years, we have helped our clients create the corporate events of their dreams (while also working within the constraints of their budgets). We don't just plan events — we design them. The right theme is a conversation starter, and it's what will keep people talking about your event for some time to come. At Track Seven Events, we've designed events that encapsulate the spirit of places all over the world. Your corporate party may be in a local ballroom, but with our planning, your guests can feel like they are in Paris, Beijing, or the ski slopes of the Alps. In other cases, our expert corporate event planning can travel through time, whisking your team to the Roaring '20s or another fun period. We have access to the furniture and audio visual tools that make it possible to travel virtually through time and space toward fun, and we also have lots of little add-ons to ensure every detail is perfect. At Track Seven Events, we have lots of preset themes you can choose from, but we're always ready to move to the next level and help you customize your corporate party. Our process starts with listening. We want to hear what you want. Then, we help you expand your ideas into a theme. Finally, we start pulling all the elements together and designing your event. That includes creating a budget estimate, finding a venue, and creating the first version of the event. At that point, we let you "walk through" what the event is going to look like, and we adjust and modify as needed to meet your vision. With corporate event planning, it's not just where you feel you are. It's also about what you are doing, and because of that, we offer a lot of entertainment options for our corporate events. We can arrange entertainment from trapeze artists to DJs and everything in between. We also structure events around activities. For example, casino nights are a huge hit with many of our corporate clients. You can also integrate silent auctions, door prizes, and any other events you want into the evening.  At Track Seven Events, we plan events ranging from private parties, to bar mitzvahs, to weddings, to corporate events and more, and we'd love to work with you on your next event. To contact us, call 1-678-805-8825 today, email us at info@tracksevenevents.com, or fill out the contact form on our website.